Hacking Professional is an exclusive course provided by the Institute of Information Technology. This consists of CompTIA Network+ N10-007; CompTIA CySA+; Associate level Cisco Career certifications preparation (ICND1/2); CompTIA CTT+ certification preparation; Computer Hacking Forensic Investigator; and Certified Ethical Hacker certification preparation. By taking all of these courses, you will be considered a professional in the cybersecurity world. Why does someone need any of these courses? To start off, CompTIA Network+ covers the configuration, management, and troubleshooting of common wired and wireless network devices. Also included are emerging technologies such as unified communications, mobile, cloud, and virtualization technologies. The CompTIA Cybersecurity Analyst (CySA+) certification verifies that successful candidates have the knowledge and skills required to configure and use threat detection tools, perform data analysis and interpret the results to identify vulnerabilities, threats and risks to an organization, with the end goal of securing and protecting applications and systems within an organization. The Associate level of Cisco Certifications can begin directly with CCNA (ICND1/2) for network installation, operations and troubleshooting. Think of the Associate Level as the foundation level of networking certification. Each certification covers a different technology to meet the needs of varying job roles. 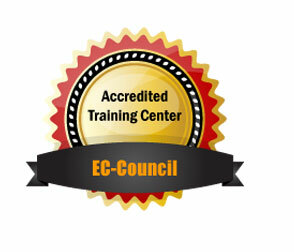 Earning the CTT+ certification designates you as an exceptional trainer in your field. As an instructor, you not only have to plan engaging classroom lectures, practice tasks and exams, but you must also be a knowledgeable and effective communicator. CTT+ certification provides comprehensive training standards to validate your skills in a traditional or virtual classroom environment and ensures that you can teach effectively and step up to the front of the class with confidence. The last section of our Hacking Professional course consists of Computer Hacking Forensic Investigator (CHFI) and Certified Ethical Hacker (CEH). Computer hacking forensic investigation is the process of detecting hacking attacks and properly extracting evidence to report the crime and conduct audits to prevent future attacks. Computer crime in today’s cyber world is on the rise. Computer Investigation techniques are being used by police, government and corporate entities globally and many of them turn to EC-Council for the Computer Hacking Forensic Investigator CHFI Certification Program. A Certified Ethical Hacker is a skilled professional who understands and knows how to look for weaknesses and vulnerabilities in target systems and uses the same knowledge and tools as a malicious hacker, but in a lawful and legitimate manner to assess the security posture of a target system(s). The CEH credential certifies individuals in the specific network security discipline of Ethical Hacking from a vendor-neutral perspective. With ethical hacking, you will understand and know how to look for weaknesses and vulnerabilities in targeted systems, and use the same knowledge and tools as a malicious hacker. By taking this full course, you will become much more desirable in the cybersecurity and networking industry, along with a higher paying career. Computer Hacking Forensic Investigator Certification Preparation. Availability: Exams are delivered across the world through its Authorized Test Partner, PearsonVUE. Hacking Professional Career pathways include: cybersecurity, support engineer, network administrator, network designer, computer security engineer, network engineer, and more.